The tooltip that appears seems to be linked to the first category value having in a given timeframe. For example, in Tornstein's fiddle (http://jsfiddle.net/gh/get/jquery/1.7.2/highslide-software/highcharts.com/tree/master/samples/highcharts/studies/xrange-series/), hovering over the "development" category between the dates Dec 10th and Dec 13th shows the tooltip for the "testing" category which also shares these dates. Any thoughts about how to limit the tooltip to a given category would be wonderful. I'm trying to use your Gantt chart now and it appears the xAxis min/max it is a little wonky. I've got a page with 2 charts, a spline and your gantt, one on top of the other. I'd like the axis to line up on each of the charts and I've tried to make the min/max of each chart equal. Unfortunately the Gantt chart appears to be adding a little extra, and the two charts won't properly align. The first point on the spline series should line up with the left edge of the first bar, but as you can see that's not the case. You're welcome, that's good to hear! I may not be doing it in the most efficient way, but it works perfectly and addresses my concerns. Thank you very much for your help. 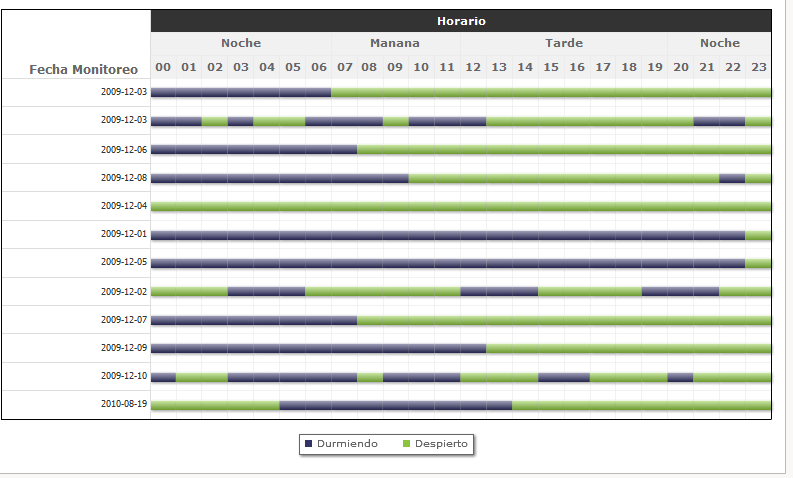 Actually I think a horizontal columnrange chart is better suited for emulating a Gantt chart. You can add multiple points to the same x value, and use a datetime axis for the Y axis. I'm sorry I don't have time to show you a demo right now. 1. In order to set make the lines more visible, I had to set the line width fairly high. This causes the ends of the lines to overlap, and makes it difficult to clearly see where one time period ends and the other begins. is there any way to have a sharp cutoff (similar to a bar chart) while still retaining the line width? 2. The tooltip is very wonky. It'll usually identify the proper series, but I can't figure out how it determines the value. Ideally, I would be able to hover over one of the time periods, and it would show me the time range for that period. If not, are there any plans to make such a feature available? I tried to utilize the column range series to implement some type of gantt chart. I am implementing a Gantt Chart app for Splunk using highcharts just the same way the fiddle do and it is working perfectly! You just need to work a bit on the legend, and what you want to show hide... but that is fine, everything required is in highcharts. It is not like you're trying to do a bar out of a pie chart... Here is the trick: just increase the linewidth of a line chart and it will do the trick. This feature is 2nd in the list. Do you have an idea of when will it be planned? 2013? I need to setup the gantt values per hour to display true or false for different lines( dates) like the one that i did with fusiocharts, is this possible?. hmmm, seriouse guys, how hard can it be, give us the gantt chart. EVERYONE wants it. Would highcharts support interaction and binding to knockoutJS? Could I for example drag the bars around, resize and update the model? It would be a great feauture to provide interactive Gantt chart with ability to modifiy the task duration by resizing it using the mouse.